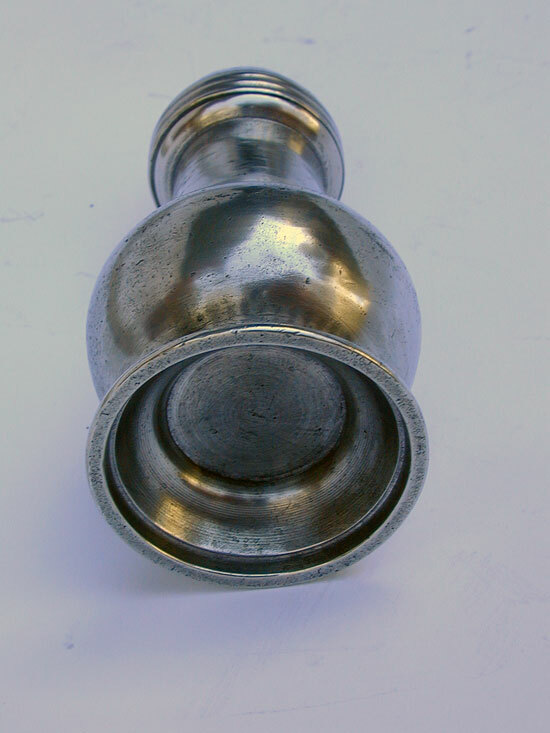 This wonderful form pewter 18th century export caster is of English origin. 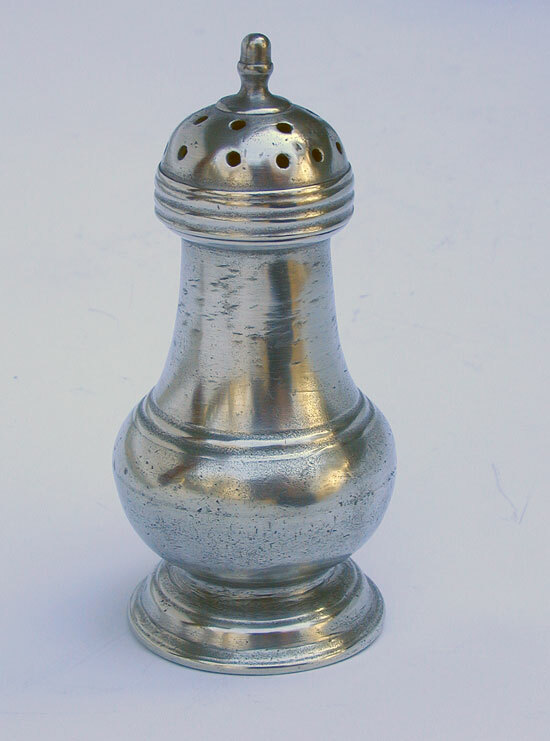 This design is found both in New England and in the areas supported by the Pennsylvania merchants of that period. 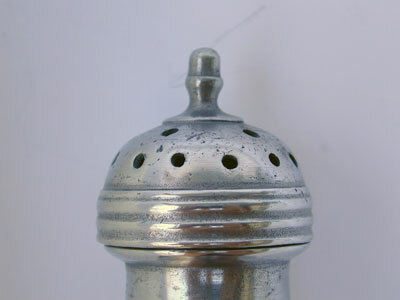 A robust form with attractive cap and finial. The threads are very functional. In very good condition measuring 4 7/16" tall to the top of the finial.